In retrospect, I don’t remember how it happened. 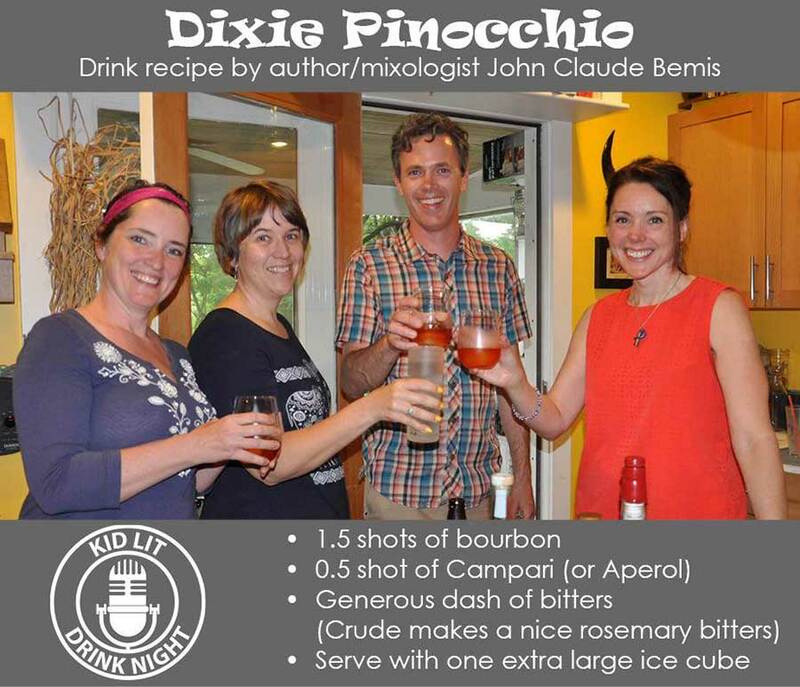 But a few glorious months ago, I stumbled upon KidLit Drink Night Podcast—and got hooked. Who wouldn’t love sassy, irreverent women owning their mics, drinking the dreadful concoction known as Hot Dr. Pepper, discussing all things kidlit, and making each other—and us, their listeners—laugh uncontrollably? The women behind KLDN are Amy Skelding, Gwen Holt (plus her alter ego, Leigh Statham), and Karen Staman. They are smart. They are funny. They consume adult beverages and use naughty words. If you haven’t listened to them yet, you should. 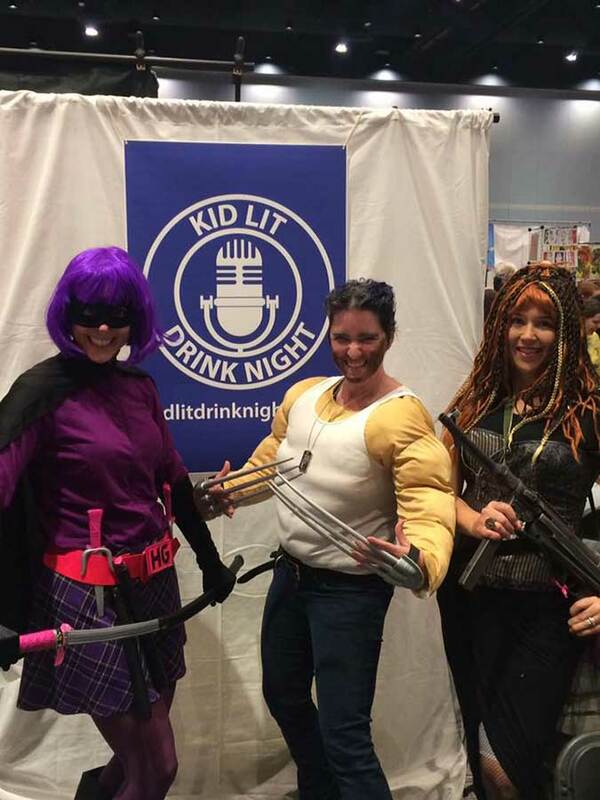 Q: For those unfortunate souls who have not yet had the pleasure of listening to an episode, can you tell us what the KidLit Drink Night Podcast is and how it came to be? 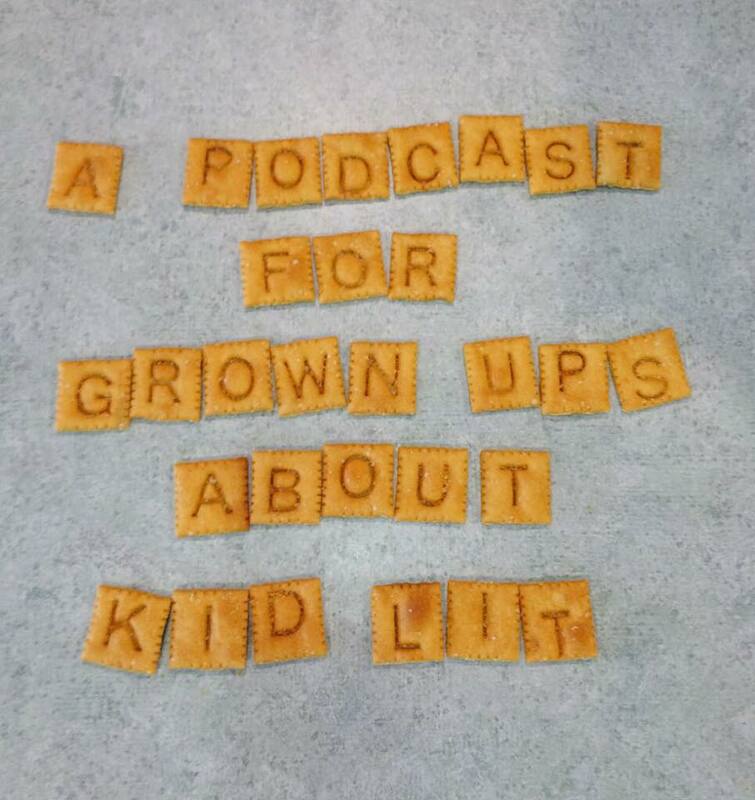 Also, the name really does say it all—a grownup podcast for those addicted to kidlit. How’d you come up with it? AMY: Thanks for having us on your blog, Emily! 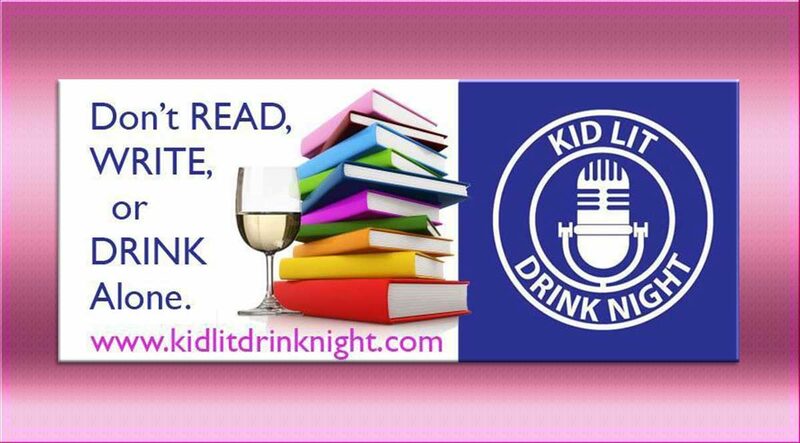 KidLit Drink Night is a podcast for grownups about kidlit – and we define kidlit as anything written for humans aged 18 years and younger. It’s just for grownups because we consume adult beverages and use naughty words. The podcast was born out of a desire to share our awesome kidlit community. Around the country there are several informal, in-person meet ups where kidlit writers gather at a local watering hole to geek out and talk shop. We have one here in Central North Carolina once a month that our superfriend Karen founded. However, not all writers are fortunate enough to be a part of an in-person community like that, so I came up with the idea of bringing the shop talk/drinking to the masses via this podcast. And since it’s based on our in-person KidLit Drink Nights, we just went with the name. As you say, the name says it all! Q: OK, now that we’ve got a grip on the origin story . . . can you introduce the Superfriends, as you call yourselves—and deservedly so—on the podcast? Who are each of you and why did you decide to embark on the crazy adventure that is KLDN? AMY: Who am I… A question I’ve been asking myself since I was born just 20 years ago. 😉 I’m the creator and host of the podcast, as well as the chief cook and bottle washer. I’m also a middle grade fiction writer and avid/rabid reader. I’ve got a muggle job in marketing and a degree in broadcasting, so all those skills and interests oddly gelled into the production of a podcast. My friends and family were getting tired of listening to me constantly nag them recommend books to read, so I decided I had to broaden the audience via podcast. GWEN: Hi, I’m Gwen, I think. I have a lot of different names. I change them with the seasons. Seriously though, my muggle job is close to Mrs. Weasley. I have a ton of kids and pets and if anyone could teach me how to wave a wand and get the dishes done I’d kiss them passionately. I write YA steampunk and sci-fi as Leigh Statham, and I also write middle grade fiction, short stories, and terrible poetry. I’m a founding editor of Quantum Fairy Tales, and I enjoy long walks on the beach. Amy and Karen are two of the brightest, most talented women I know, so of course, when they approached me about the podcast I said YES! KAREN: My muggle job is as a science writer and I also write middle grade fiction. (I’ll be a middle grade author one of these days, just not quite yet.) When Amy told me she was making a podcast and wanted me to be on it, I thought, HELL yes. Free booze. Q: You do a great job of making listeners feel as if they’re sitting around the kitchen table—or bellied up to the bar—with you, eavesdropping on a hilarious conversation about kidlit. Are all of you as extroverted as you seem, and was it a challenge for you to balance your personalities equally on the pod? AMY: Thank you! We definitely want listeners to feel like they’re sharing a chat session with their buds. Whenever you gather people together who have an expertise and enthusiasm for a certain topic, interesting conversation will result. The challenge we have sometimes – as people passionate about the topic – is to prevent us from all talking at once. While I believe we’re all extroverts (Karen, Gwen, correct me if I’m wrong), there is an energy that develops when people who share the same geeky obsession gather. In order to get work done, writers spend a lot of time alone, so when we are able to meet, it can be like letting a tiger out of a cage. That energy is palpable in the studio sometimes, and I think it comes across in our recordings. GWEN: Amy is right, sometimes when we’re recording we get so wound up her little computer program thingy goes off the charts because we’re all snorting and laughing (I actually choked once) so much it’s totally not usable material. I hope our listeners feel at home with us and our own brand of crazy. It’s a great place to be. KAREN: I think it really helps that we are friends and we already knew each other from SCBWI conferences and our monthly drinking and shuffleboard fests. Gwen and Amy always surprise and impress me. Q: In your interview with SCBWI Carolinas, you talk about the importance of community, and how starting KLDN stemmed in part from there. I particularly love Karen’s description of showing up at the SCBWI conference each year, chatting with folks about her book, and then going back to her room alone to stare at the ceiling. 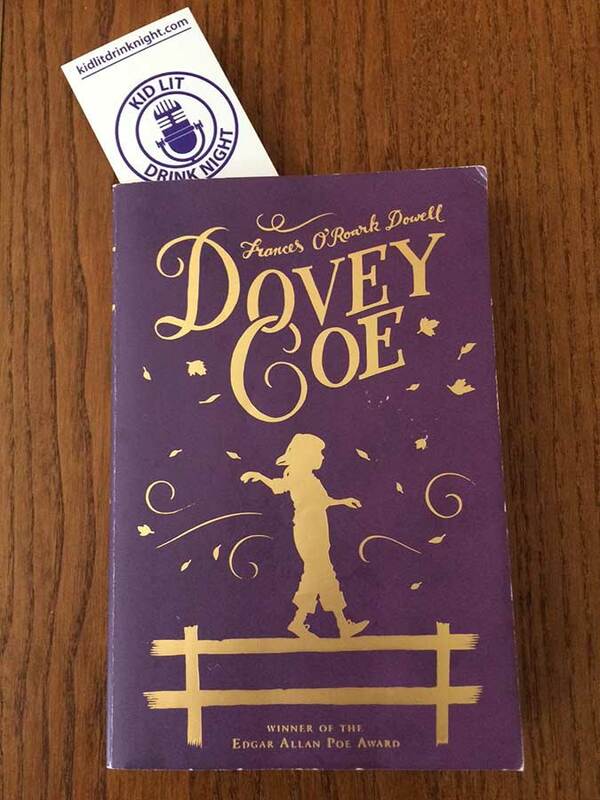 How do you hope that the podcast helps to establish a sense of community for all those kidlit lovers out there, and why does it matter? KAREN:People who aren’t in the kidlit world don’t really get it. To be successful in this arena—whether you are an author, illustrator, agent or editor—you need persistence and grit, not to mention craft, talent, and luck. Not only do you have to be stellar at what you do, you also have to be prepared for some pretty hard knocks, and this is true whether you are querying or have published 70 books. I’m very grateful to have a community of writers and illustrators with whom I can share these joys and sorrows. The journey doesn’t stop, and it’s nice to have company. I love that we are extending our kidlit community through the podcast. Q: What’s been the most challenging part of doing the podcast? Is it the technical stuff? And how did you decide who would do what? AMY: For me, the biggest challenges are the software/web-related production tasks. It’s a necessary evil, though, which allows us to virtually hang out with so many cool people. That said, learning all the audio software was a piece of ambrosia compared to how we used to do audio editing when I was in college. Back then, we had to edit tape – TAPE, mind you – by hand using a razor blade. KAREN: Amy does all the hard work. For me the biggest challenge is to not sound like an idiot. GWEN: Ditto what Karen said. I try to get there on time and to not sound like an idiot. I’d hate to have Amy come after me with her razor. Yowza. Q: On the heels of that question . . . what advice would you give aspiring podcasters out there? Biggest lesson you’ve learned from KLDN? Pitfalls to avoid? Best decision you made? Magic fairy dust or pro tips? Advice: Make sure you’re ready for the grunt work. There will always be at least one aspect of the job you aren’t uber thrilled to work on. That’s not a deterrent, just an acknowledgement that hard work goes go into it. If you’re up for it, go and get it! Biggest Lesson: Even though you think you’re a giant dork and no one wants to hear about your dorkiness, there are other dorks out there who are just like you and feel a kinship. Trust your gut, be a dork, and push ‘record’. Best Decision: Even though I was scared to death to start this project and drag my friends into it, I did it anyway. And I‘m so glad we did! Magic Fairy Dust: None. Alas. GWEN: Find a really awesome friend to do all the hard work for you. (See above). KAREN: I think it’s important to be true to yourself. (Can you tell I’m a middle grade writer?) We’re a pack of dorks who love books for kids, so that’s what we bring to the table. Q: Your banter on the show is so amazing, and I’m sure there’s lots of good stuff that doesn’t make it in—like Karen’s February apocalypse episode song! Have you ever thought of doing a KLDN outtakes episode? I bet it would be hilarious. GWEN: I’ve been begging Amy to do an outtakes episode, but she is way more smarter than me. I probably owe my marriage to her careful editing skillz. KAREN: We should do a YouTube video. Then you would be able to see all the dancing. Q: OK folks . . . favorite KLDN episodes and why . . . each of you . . . go! AMY: I’d have to pick the May 2016 episode with author John Claude Bemis for two reasons. He designed a themed drink for the show, which means he gets five points to his Hogwarts house for creativity. I was so happy he got into the spirit of our dorkiness. Also, the second segment of the show – the quiz segment – was so much fun that I nearly forgot we were recording. You have no idea how much extended laughter I had to edit out of that show. GWEN: February 2016 Love in the Time of the Apocalypse episode. You can’t beat that title, and all the cannibal jokes! I’m still giggling about them. Get your nails done, girls. That’s the only way to survive! KAREN: My favorite episode was the April 2016 Reluctant Reader episode because Tom Angleberger was such a joy. Q: I’ve got to admit that as much as I love your book recs, I’ve never been tempted to try any of the drinks that you’ve sampled on the show. Who is principally responsible for suggesting your crazy concoctions—or do you share the love? AMY: With the exception of when an author brings a drink (which is ALWAYS welcome and appreciated!!) I’m going to cop to being the one that inflicts my choices onto the others. They’re always such good sports, though! That’s why they’re super friends. GWEN: Do not try the hot DP. Just don’t. KAREN: If I was responsible for creating the drinks, believe me, you would have been tempted to try them. Q: Speaking for myself, I can definitely say that the KLDN podcast has opened my eyes to some books and authors that I might not have discovered otherwise—but am so, so glad I did. Does the same go for the Superfriends? Have you discovered any new favorite authors via KLDN, and if so, who? AMY: This year, I had as one of my reading goals to read graphic novels, but I didn’t know where to start. Thanks to the April episode on reluctant readers and to our guest Tom Angleberger, I had a great list to start on. I’ve read and especially loved El Deafo by CeCe Bell and Nimona by Noelle Stevenson. GWEN: Yes. Tons. So many I’ll probably never get to them all, but I have high hopes. KAREN: I’m literally drowning in great books. The Crossover by Kwame Alexander, Everything Everything by Nicola Yoon, and Jonathan Stroud’s new series Lockwood & Co. come to mind as recent great reads. Q: Last question, I promise . . . any secrets you can share about what we can expect on upcoming episodes of KLDN? And where can wanna-be listeners find you? AMY: Our July show has two great author interviews – Ryan Dalton and James Dashner. (Sometimes it’s hard to keep our cool when we get to talk to such talented pros.) I’m excited about our August show focusing on picture books, which is a topic we haven’t had the opportunity to explore yet. And this fall we have more content than months in which to fit it, so stay tuned! 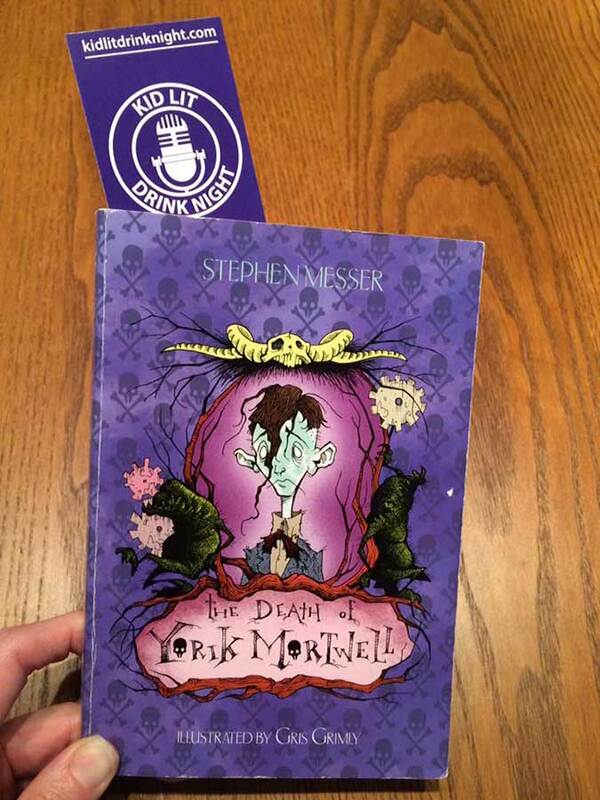 There are two ways to listen: on our website at kidlitdrinknight.com or access it via the podcast app on your smartphone or tablet, like iTunes and Stitcher. You can hook up with us on Facebook or follow us on Twitter: @KidLitDNPodcast. GWEN: I’m going to be on book tour, so if you want to catch up with me in person, that might be a possibility. LeighStatham.com has all of those details. Would LOVE to meet a listener. Other than that, I’m going to try to get Karen to give me some swearing lessons.